The following is a recipe of Turkish coffee and its traditional preparation. 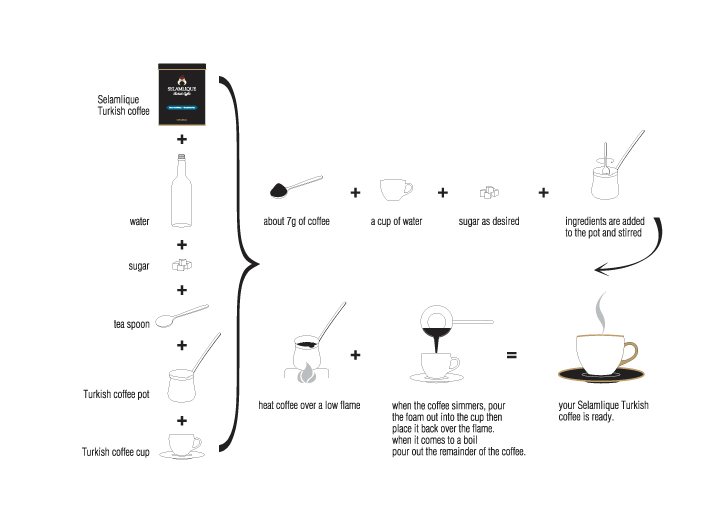 It only takes two minutes to prepare Turkish coffee. It is traditionally prepared in a 'cezve', which is a small long-handled pot.